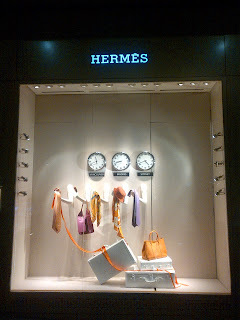 Hermes at Vancouver International Airport, Canada, celebrates the different of time in one country and another in its window display. 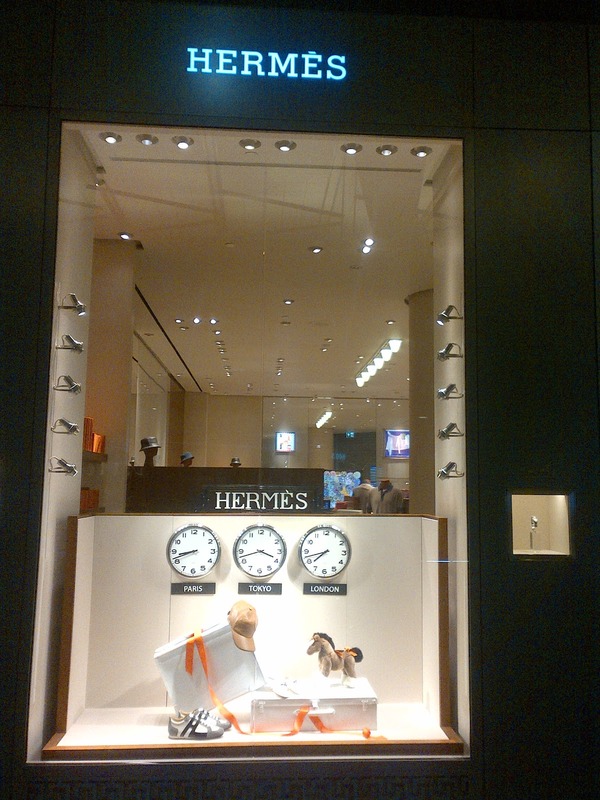 There are three wall clock that shows the different times in each of the two windows. The women section window shows the times of Vancouver - Madrid - Sydney with arms carrying scarves, ties, bag, and hat. While the men section features Paris - London - Tokyo times. On the ground there are trunks with contents spoiled outside that can be translated into traveling from country to country.